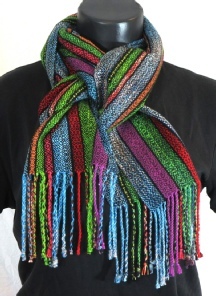 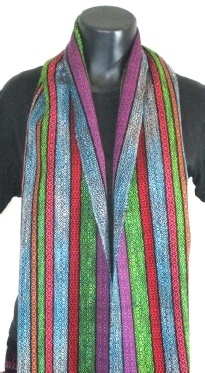 This light weight, year-round scarf is made of cotton, rayon, tencel, and silk. 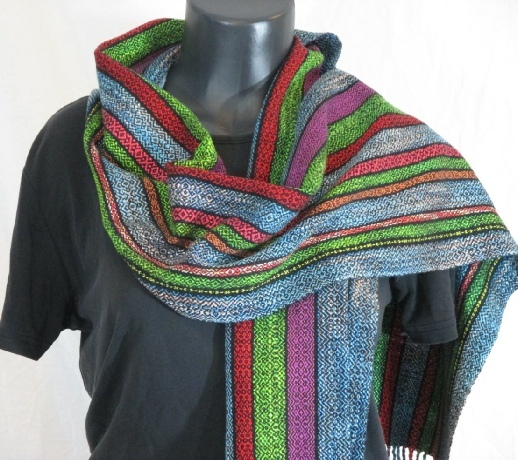 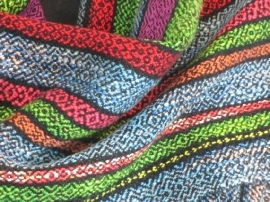 The yarn for this scarf was dyed prior to dressing the loom (called “warp painting”). 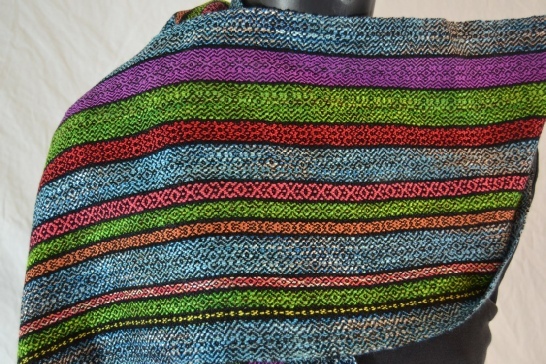 This allowed me to make the color variations seen in many of the stripes. This scarf features some lovely areas of peach and light blue, amongst other colorways. 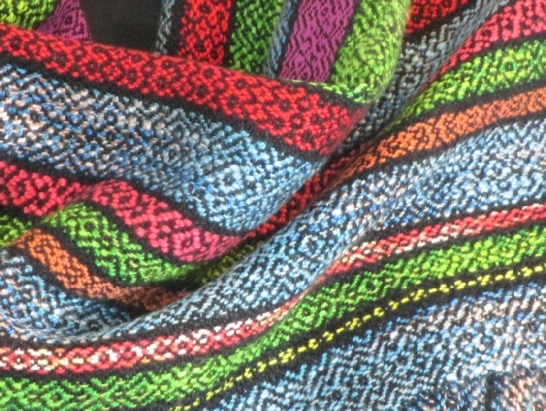 This scarf was woven in a complex twill pattern, using black cotton. 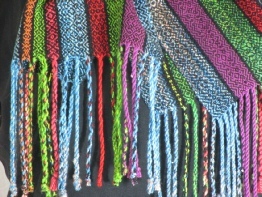 It measures 9.25” x 65.5”, plus 4.5” long fringe, with a few beads on it. 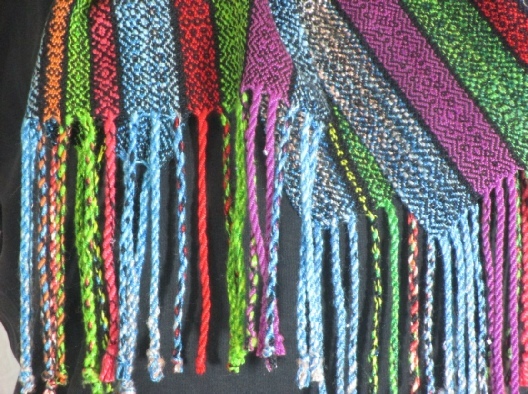 It can be worn in a variety of styles, a few of which are shown here.